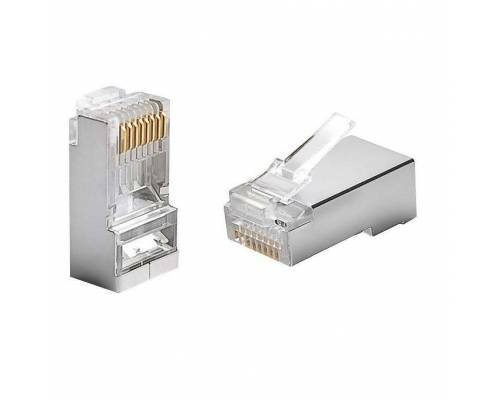 Cat6 RJ45 modular connector is designed to terminate stranded Cat6 network cable. The connector contains two metal "teeth" that hold the wire in place giving a reliable connection. 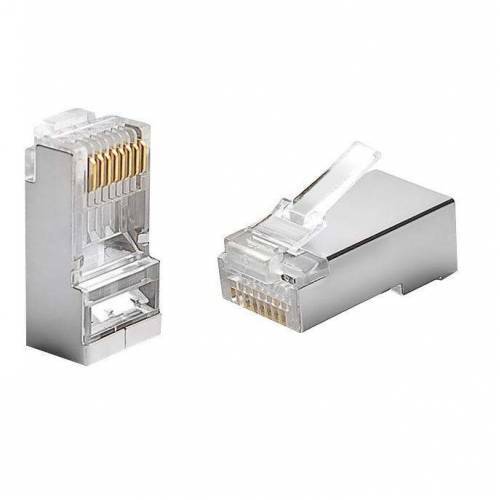 Easy to terminate, these connectors are useful for creating custom-length patch cables from bulk cable. The pinout for these connectors can be either TIA/EIA 568 or 568B.